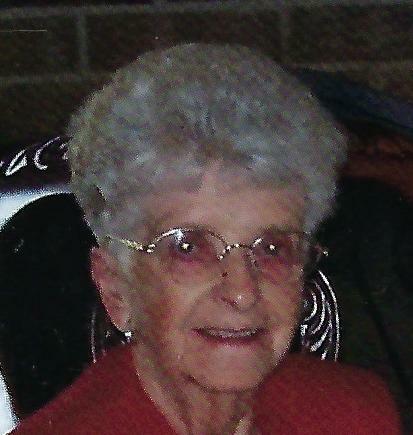 Anna M., nee Bless, Hammel, 96, of New Athens, IL was born on January 28, 1923 in Apatin, Yugoslavia and passed away on Sunday, April 14, 2019 at her home. Mrs. Hammel was a surgical nurse’s aide at St. Elizabeth Hospital in Belleville, IL. She attended St. Agatha Catholic Church. Anna enjoyed crocheting, gardening, cooking and canning. She also liked to travel, especially to Germany. Most of all she loved spending time with her family, grandchildren and great-grandchildren. She was preceded in death by her father, Martin Bless, and her mother, Rosina, nee Matzner, Bless-Smerak. Her husband – Henry Hammel whom she married on July 6, 1973 in O’Fallon, IL and who passed away on July 21, 2007. Two sons-in-law – Eugene Munier; Henry “Butch” Hammel. Her sister – Eva Piry. Her brother-in-law – Josef Piry. She is survived by her children – Maria Munier of Mascoutah, IL; Josef Link of Belleville, IL; Eva (Larry) Kinzel of New Athens, IL. Her step-daughters – JoAnn Moorman of Florida; Sherry (Paul) Pelletier of Wallagrass, ME. Step-daughter-in-law – Jeanne Hammel of Surfside Beach, SC. Six grandchildren – David Munier; Linda (Don) Wombacher; Jeff (April) Munier; Scott (Kathy) Hammel; John (Tima) Hammel; Christopher (Stephanie) Hammel. Twenty-three great-grandchildren. She is also survived by nieces and nephews in Germany. In lieu of flowers memorials may be made to St. Agatha Parish or to the New Athens Home for the Aged. Visitation: Friends may call at Heil-Schuessler Funeral Home in New Athens, IL on Monday, April 22, 2019 from 4:00 p.m to 7:00.p.m (A prayer service will be held at 4:00 p.m) and on Tuesday, April 23, 2019 from 9:00 a.m to 9:30 a.m.
Funeral: A mass of Christian burial will be held at St. Agatha Catholic Church in New Athens, IL on Tuesday, April 23, 2019 at 10:00 a.m. with Father Mark Reyling officiating, assisted by Father Roger Karban. Interment: Burial will be held at Lakeview Memorial Gardens in Fairview Heights, IL. Anna deserved an end to life that was as graceful as she was in life. I hope with all my heart that she and dad are reunited and smiling down on us as we continue our life struggles. She was very lucky to have a devoted daughter living next door who enabled her to remain in her home until the end. My deepest sympathy to Eva, Joe and Marie and all the friends and family who will miss her indomitable presence. Heaven certainly gained a wonderful new angel of mercy with Anna. My heartfelt sympathy to the family,especially daughter, Eva, who worked tirelessly through the years to make Anna’s life easier. Rest in peace, Anna. Your work is done!